We have not scheduled any dates for this course in 2019. To express interest, please click the 'register interest' link below and we'll email you when the course next runs. If you are curious about mindfulness and meditation and would like to learn more then this weekend is for you. If you have an established practice or would like to create one then this course will help you to go deeper into mindfulness and support you to set up a routine. Please note that this course will run off-site at Dove House at Riddell Rd, Glendowie. This peaceful facility is located in beautiful grounds near the mouth of the Tamaki River. Discover the benefits of inner peace and coolness of mind that can come from regular and simple practices. 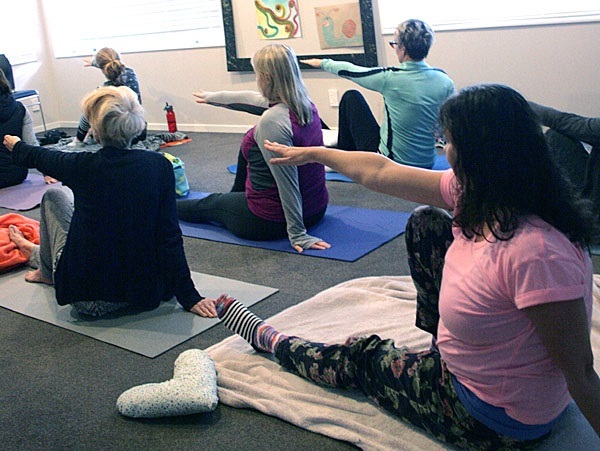 This workshop will support sharpened mental focus, relaxation and stress reduction, as well as an understanding of the breath-body-mind connection. The workshop will be divided into four morning and afternoon teaching sessions with an hour for lunch. Each teaching session will comprise of physical practice of breathing and focus exercises, teaching and discussion. Lunch breaks will provide an opportunity for students to individually integrate and practise newly-acquired skills and awareness. Many of the exercises will be floor-based, so please bring a yoga mat or blanket to lie on. An understanding of the breath-body-mind connection. Understanding of the benefits of breathing well. Techniques to help develop mindfulness using the body and the breath. How to sharpen mental focus. How to induce relaxation and support stress reduction. Understanding of incorporated study and theory behind practices. Those wanting to learn mindfulness practices or meditation. Those wanting to deepen their existing practice. When you practice mindfulness, your body relaxes: your blood pressure drops and your breathing rate slows and deepens. With regular practice, mindfulness rewires the brain as new neural pathways are formed, making it easier and quicker to come to this state of relaxation. Practitioners find they respond better to challenging situations, making more helpful decisions rather than reacting with anger or fear. "The quiet time allowing the body mind / breath to integrate the practices and knowledge." "It has helped me to work with and through my/ the current grief I’m experiencing with my Dad recently dying." "The new learnings and understandings stepping out from my comfort zone." "Wasn’t sure what to expect. Hoped for some ‘calmness’ in a difficult time & definitely achieved this."